The PADI Open Water Diver certification is our entry level course, during which you'll learn the fundamental skills and knowledge of diving, to allow you to safely scuba dive in open water down to a maximum of 18 meters. When you successfully complete this fun filled course, you and your buddy will be able to explore and discover the many wonders of the underwater world. All your hard work will have earned you a PADI Open Water Diver card that is recognized and accepted world wide! Can I participate diving courses? If you got 'YES' to any question, you need to consult with a physician prior to participating in scuba diving courses. Anyone from 10 years old and in good physical condition (Health Quick Check), may enroll in a PADI Open Water Diver course. You'll learn the essential theory of diving physics, physiology, diving equipment, diving environment and basic decompression theory in the classroom with our knowledgeable native English-speaking instructors. Pool sessions split into two days are arranged from simple to complicated, allowing you to master the basic diving skills that will enable you to safely embark on all your future diving adventures. Then come four open water dives where you demonstrate all skills you have learnt (these dives can be done on a Big Blue trip or at a destination of your choice). 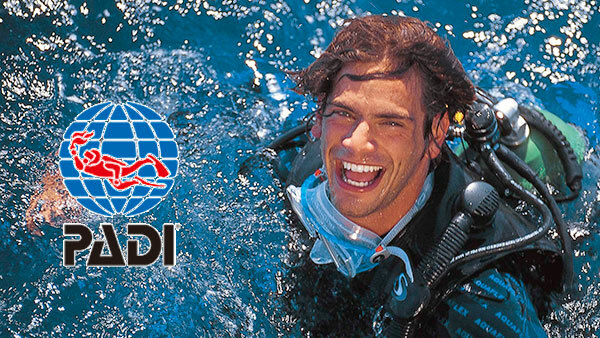 On successful completion of the course you earn a PADI Open Water Certification card, which is valid for life and is recognized around the world. Watch the videos and complete the knowledge reviews in the student's manual before your scheduled knowledge development and pool sessions. - Depart on Thursday evening and return on Sunday evening. 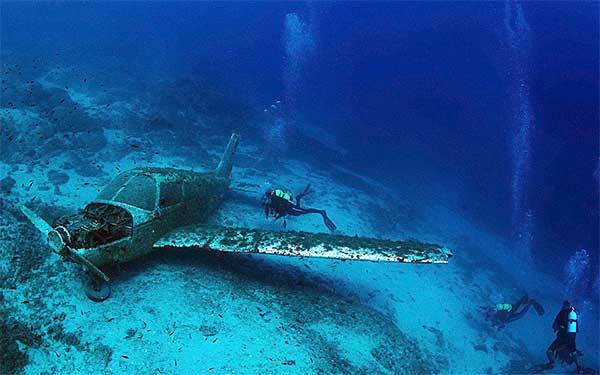 - Includes: student's material, instructor fees, dive equipment and training facility. It also includes the travel insurance, local transportation, twin shared accommodation, full board, water, coffee and tea, 4 boat dives and unlimited shore dives in the trip. - Excludes: flight tickets, Philippines visa, extra boat dives, soft drink and beer, dive pass (100PHP per day), tips, anything not listed in the costs included. - Depart on Friday evening and return on Sunday evening. - Includes: student's material, instructor fees, dive equipment and training facility. It also includes the travel insurance, transportation, twin shared accommodation, full board, water, coffee and tea, 4 shore dives in the trip. - Excludes: soft drink and beer, anything not listed in the costs included. - Includes: student's material, instructor fees, dive equipment and training facility. 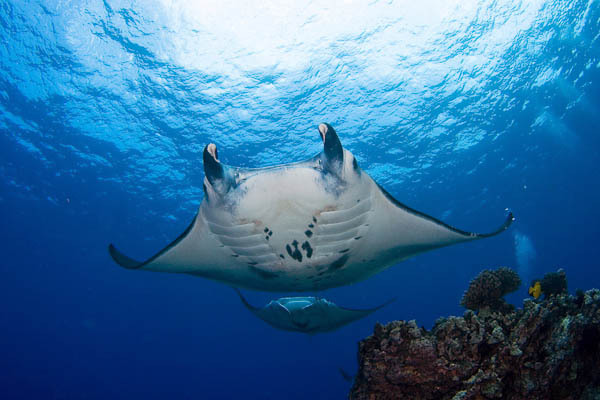 - The open water dives can be done with any PADI dive center in the world. 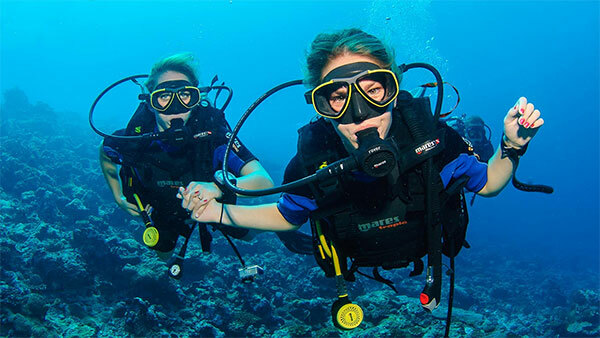 - Includes: instructor fees, dive equipment and training facility. - The open water dives can be done on referral. - Includes PADI Open Water Diver Manual, RDP Table, RDP Instructions for use, Logbook. Receive a 300CNY discount on the Open Water Diver course if you sign up within 7 days of completing a Big Blue Trial Dive. 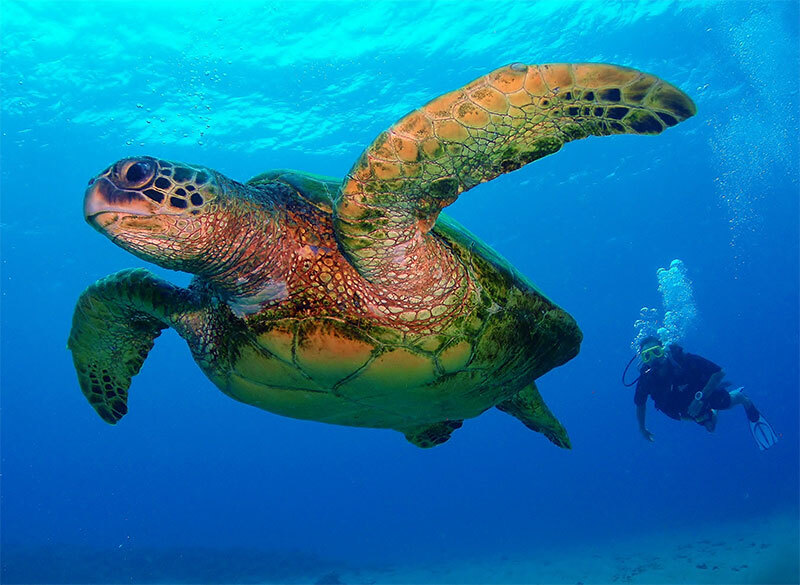 Select PADI Open Water Diver + Advanced Open Water Diver course package to save at least CNY 3,080. Students eligible to receive a 5% discount on all equipment and additional classes purchased at Big Blue. Yes, all necessary training equipment for the pool sessions and open water dives are provided by Big Blue, including wetsuits. If you have you own equipment, such as mask, snorkel or fins, you are welcome to use them. All you are required to bring is a swimsuit and towel. Can I learn scuba diving if I can't swim? As long as you feel relaxed and comfortable in the water you can start your scuba diving course. Open Water students will be asked to pass two simple swimming tests, a 200m swim or 300m snorkel (with mask, snorkel and fins) and a 10min float/treading water. While you are not required to be a strong swimmer, we strongly recommend that you learn to swim so that you may have safer and more enjoyable dives. Scuba diving has its potential risks, which is why the PADI Open Water Diver course focuses on safe and conservative diving practices. During the course you will learn how to avoid risks and approach emergencies in the safest possible fashion. Can I definitely pass the course? Since Big Blue opened, the passing rate of Open Water students is 99.9%. Only 1 student did not complete the certification due to personal reasons. Most people pass the course with ease. Big Blue is open 7 days a week, so when you complete the self-study session, you can schedule your pool and knowledge review sessions whenever you have two days free. The open water dives can be completed anytime within 12 months of completing the pool and knowledge review sessions, though we encourage students to schedule their open water trip as soon as possible so the skills are still fresh in their minds. Can I pay the course fee by installment? If you are taking the full course, the initial payment of 2,980CNY is required to sign up for the course. The remainder of the balance may be paid any time before departing for the open water trip. What exactly do I need to do to sign up for the course? First, you need to fill in the required forms, including a Student's Profile, Medical Statement, Liability Release and Assumption of Risk Agreement and Standard Safe Diving Practices Statement of Understanding. You will then need to pay the course, pick up the course materials and start self-study session at home. What's the ratio of the instructor and students? The maximum ratio of the instructor and students is 1:4 in Big Blue. Usually the class size is 2-3 students. Is it possible to have a 1:1 class? Sure. If you'd like to have a 1:1 class, a 1,000CNY extra is required for the pool and classroom session. According to the schedule, the pool session will be completed in 2 half days. What if I would like to have more practice? Most students have no problem to meet all performance requirements in 2 half day pool sessions. But few of our students would like to have more practice to be confident in the water, for the addtional pool sessions, we charge 400CNY each. Do you help us to book the flight ticket for Anilao trip? It is not a problem if you'd like us to book the tickets for you. If you are going to book the tickets by yourself, please double check the flight information with us. Do I need a visa to enter Philippines? For Chinese people, YES. Most forgeiners don't need a visa to enter Philippines, Click Here to check if you need a visa. If a visa is required, can Big Blue help me to apply for it? Yes, the cost is 350CNY per person. Why is Big Blues course fee more expensive than some other dive centers in Shanghai? In addition to being the only dive center in the Shanghai area with native English-speaking instructors, Big Blue has built a reputation as the center with the best safety record. We have built this reputation by following the PADI standards to the fullest during our courses, requiring all instructors to teach the course with passion and patience. We ensure our courses are complete and all of our students meet performance requirements so they will become responsible future divers.